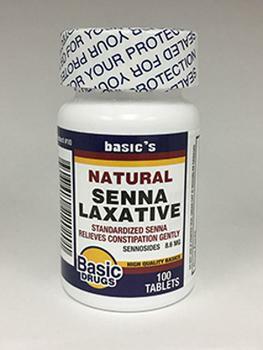 Magno-Humphries Laboratories is recalling one lot of Basic Drugs Brand of Senna Laxative 8.6 mg tablets. A customer complaint that the bottle was mislabeled and actually contained Basic Drugs brand of Naproxen Sodium 220 mg. tablets, a pain reliever and nonsteroidal anti-inflammatory drug (NSAID). Unintentional consumption of naproxen sodium potentially could result in illnesses and death to some consumers, particularly children, pregnant women, nursing mothers and surgical patients. The company says it has not received any reports of adverse events related to this recall to date. The recalled product, used as a laxative and packaged in 100-count bottles with Lot#352300, EXP: 01/19 printed on the bottom, was sold nationwide to secondary distributors, retail pharmacies and on the internet. Consumers who purchased the recalled product should stop using it and return it to Magno-Humphries Laboratories or their distributor. Consumers with questions may contact Jane Humphries at Magno-Humphries Laboratories at (503) 684-5464, (800) 935-6737 M-F from 9am to 5pm (PT) or by e-mail at info@magno-humphries.com.